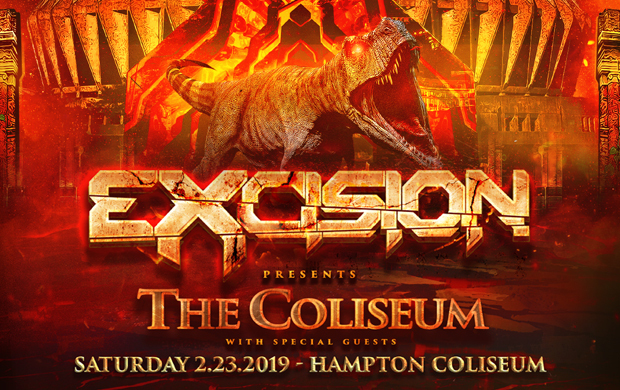 Excision makes his debut at the legendary Hampton Coliseum as he brings his APEX2019 Tour to Virginia and the mid-Atlantic for a very special event! Join us as Excision & Steez Promo Present THE COLISEUM featuring performances by SLANDER, BEAR GRILLZ, exclusive back to back performances featuring Dubloadz B2B Dion Timmer, Squnto B2B Al Ross B2B Bommer, Sullivan King B2B Wooli, as well as a performance by He$h. Must be 18 or older with ID.